Yuzu rind and juice is combined with fresh red chillies and salt to make a bright paste that is milder than its green counterpart but with a longer lasting heat. The tart, slightly floral, spiciness compliments dishes like pork belly and roast eggplant, and adds complexity to noodles, sauces, soups and dressings. 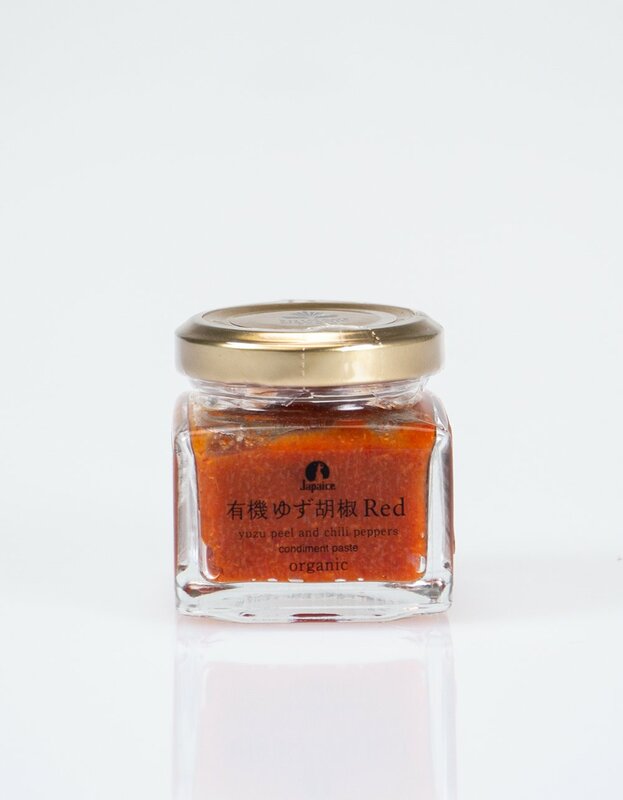 Description: Yuzu rind and juice is combined with fresh red chillies and salt to make a bright paste that is milder than its green counterpart but with a longer lasting heat. The tart, slightly floral, spiciness compliments dishes like pork belly and roast eggplant, and adds complexity to noodles, sauces, soups and dressings.